Did you know that one of Turkey’s largest water and entertainment parks is just a one hour drive away from Alanya? 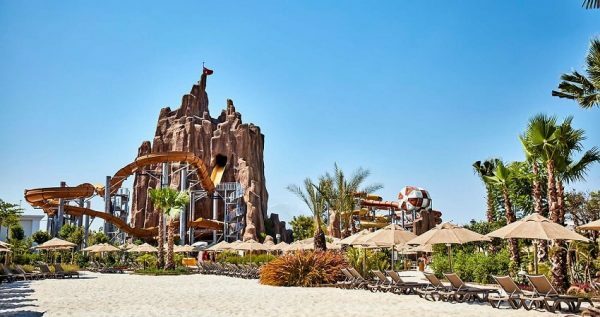 That’s right, the Land of Legends is a must do day trip for anyone looking for fun, excitement, amazing swimming, thrilling roller coasters and an experience not to forget. This massive water and amusement park has high adrenaline slides, wave pools, lazy river rides and more and that’s just the water side. On land there’s roller coasters such as The Typhoon and Sky Rider that will have you screaming for more. 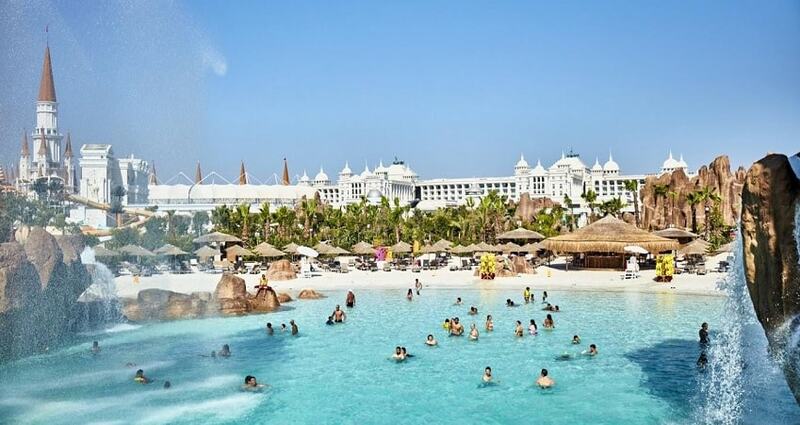 Everything a family or group of friends could want in a water park is right here. 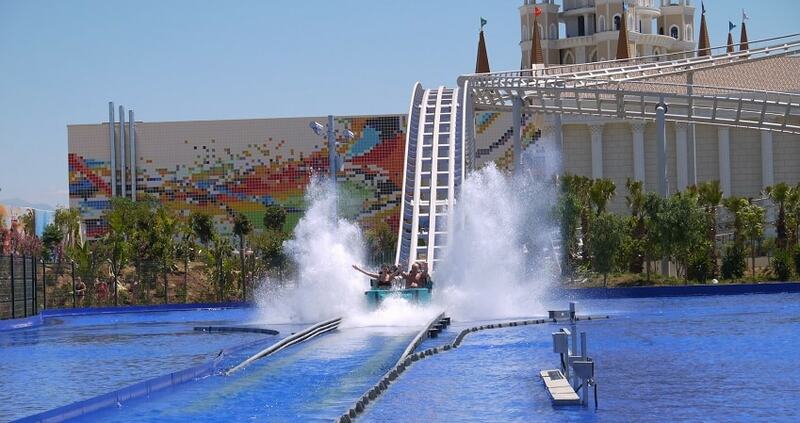 So, grab your swim gear and come along with usto visit Alanya Land of Legends Theme Park. 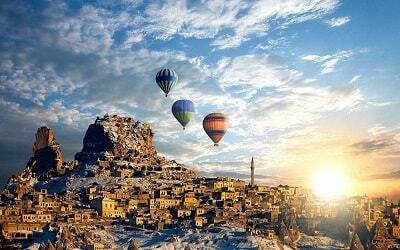 Land of Legends is also known as the Turkish Disneyland and is a fantastic day for all ages. 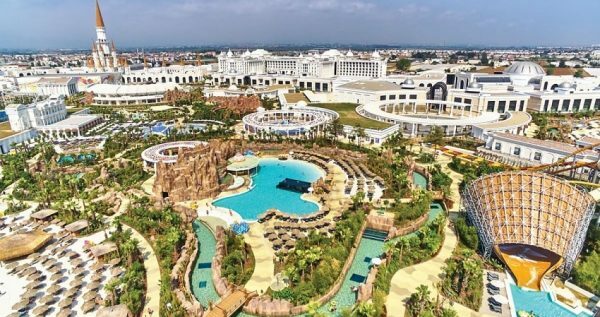 It’s not just a water park but also an amusement park complete with plenty of different activities such as an amazing 5d cinema. Your day of fun and laughter will begin when our driver will come and collect you from your hotel. 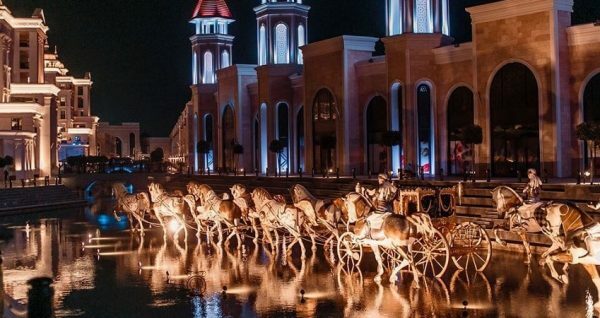 The park is located in an area called Belek which is about an hour drive out of Alanya. Along the way you can enjoy the beautiful scenery and we will take a short stop to allow for refreshments and facilities. Once we reach the park the first thing that will blow your mind is the sheer size of the place. 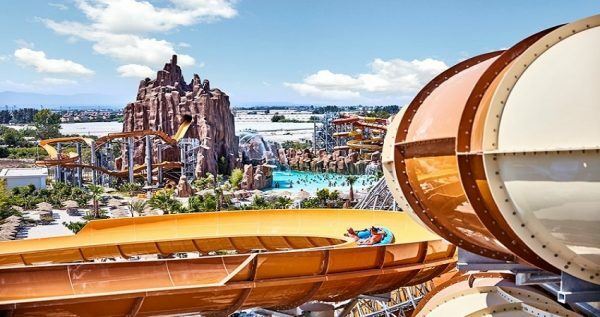 The brainchild of legendary Franco Dragone who has inspired shows such as Cirque de Soleil and many Las Vegas performances, this park is a unique blend of landscaping and entertainment. 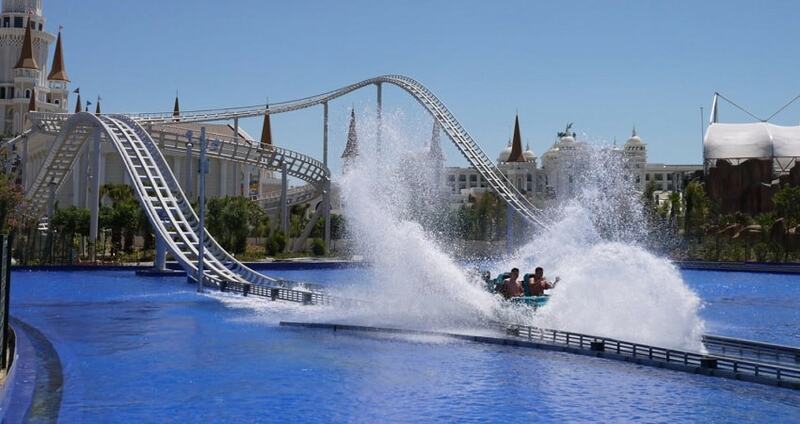 One of the main attractions is the Typhoon roller coaster. You can reach speeds of upto 86 km per hour and it has a wet and splashy ending just like a typhoon. There’s also the nerve inducing Hyper coaster with it’s loop the loops and steep drops. This is really a great day for the adrenaline hunter. If you prefer more sedate and calm rides the park has plenty to choose from such as the family swing or the air balloon race. There really is something for everyone here. 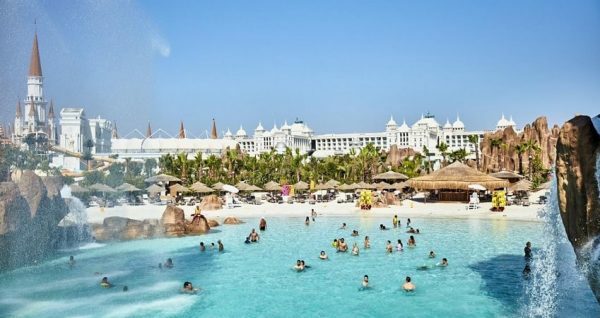 The water park is arguably the number one reason why people visit here. The park has no less than 40 different slides. There are multiple pools for you to enjoy including a specially reserved children’s pool for the smaller ones in your group to enjoy safely. Very similar to the theme park the slides all come in different shapes and sizes. For those looking for adrenaline filled action you are well catered for in the form of the Twister Racer or the Tunnel deep dive. The space rocket slide will plummet you down to earth at incredible speed before you splash land and slide to a halt at the bottom. 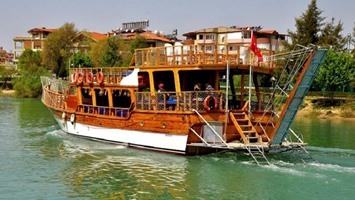 There are also plenty of calmer more sedate experiences such as the family flats and the rafting rapids. Land of Legends even has a unique aqua disco where you can dance among the fountains and enjoy the choreographed music and light show. 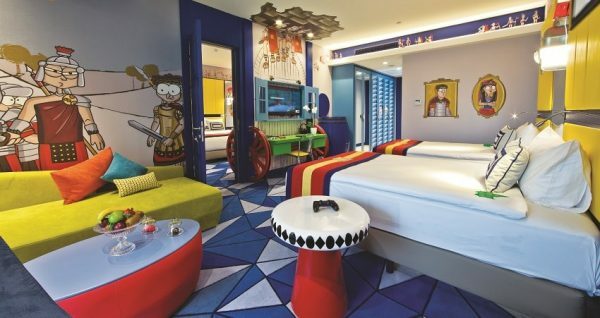 There is so much to keep you entertained at Land of Legends that you will not believe your eyes. Another must do activity is the amazing 5d cinema. The seats in the theatre actually move around giving you an incredible thrill as you watch the movie. Special effects such as wind, rain and fog are also thrown into the mix making this possibly the best movie going experience you’ll ever have. There is never a dull moment here. For animal lovers you will not want to miss the incredible dolphin and marine mammal show. These fascinating and intelligent creatures love to perform for the crowds. Yu can see them do tricks and show off their amazing skills. For an extra fee you can have a special experience and get up close with the animals. We also have a brilliant Beluga whale and penguin show which will captivate you as you learn more about these friendly animals. As if all of that wasn’t enough you can also walk under water at Land of Legends. That’s right, you can experience near weightlessness as you walk under the water using high tech diving equipment and led by our expert diving team. There is even a shark tank for you to see some of the ocean’s most fearsome predators up close. With 2 a la carte restaurants, a fitness centre and a spa amongst many other attractions you will not be bored during your time here in Land of Legends. 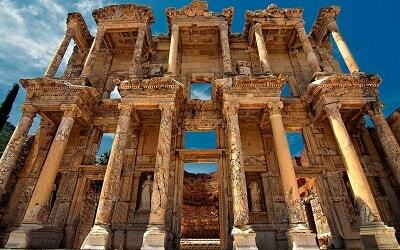 Following your day of fun and adventure your driver will be waiting to take you on the one hour journey back to Alanya and to some well deserved rest back at your hotel. You can also try Alanya Water Park with your children. 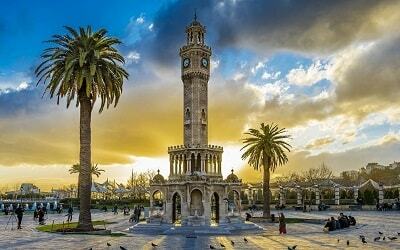 Your driver will collect you from your hotel in Alanya and take you on the one-hour journey to Land of Legends. Relax as the countryside passes you by, take snaps and prepare for your day of non-stop fun and action in Alanya Land of Legends Theme Park. 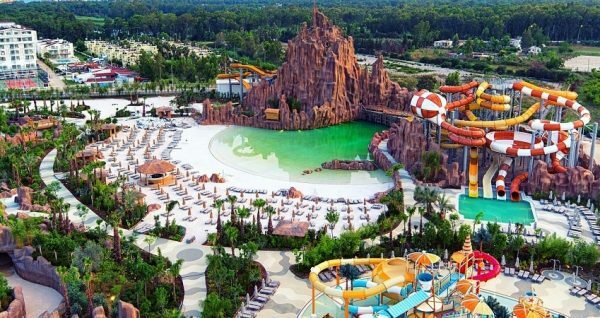 This amazing water and theme park is the brainchild of entertainment legend Frnaco Dragone. Franco has created amazing shows for the likes of Celine Dion and Cirque de Soleil and this is by far his most famous work. It is said that Franco has changed the way entertainment is done and it’s easy to see why as you arrive here. The whole park is centred around the enjoyment of everyone. From high adrenaline rides to slow and sedate experiences, everyone is catered for here. Alanya Land of Legend theme park contains many different rides to suit all kinds of people. For the adrenaline junkies you will be well catered for. Step onto the Typhoon and be prepared for an experience like no other. This roller coaster reaches speeds of upto 86 km per hour and has been designed to recreate what it would be like to be in a real typhoon. 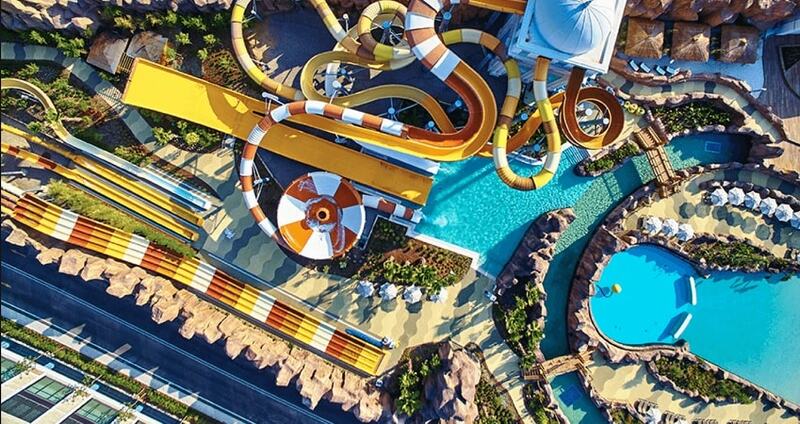 You’ll scream and shout your lungs out as you hurtle around before coming to a splash at the end. The Hyper coaster will have you upside down and back to front and is a complete assault on your senses but what great fun. For more sedate experiences families can enjoy rides such as the family swing and the sky walker. The biggest attraction here is the waterpark. There are no less than 40 slides in this amazing complex. With a myriad of pools there is something to suit everyone. 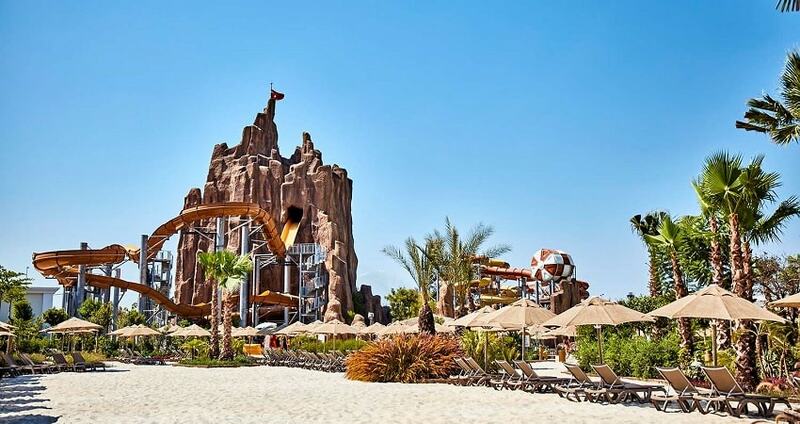 The children can enjoy the specially reserved children’s pool while the grown ups and adventure seekers can have fun in the huge wave pool. What looks calm at first soon builds to a frenzy as the wave machine churns out huge waves for you to ride. There’s river rapids, family floats and even an infinity pool for you to enjoy. For the more daring you will have a lot of choice as to which water slide to take. The starship slide has you twisting and turning around a snake like course as you let gravity take control and bring you down with a splash. The amazing looking Magicone will send you in different directions every time and Turbolance is guaranteed to have your heart in your mouth. The only problem is which one do you go on first. Whilst you’re at Land of Legends don’t forget to take in the other attractions and shows. Have you ever been to a 5d cinema before. As well as amazing sound and graphics you will feel the full on force of the action as the cinema chairs actually move around during the show and special effects introduce wind and rain at different times. A truly unique cinema experience. There are 2 must see shows at Land of Legends. The dolphin show will amaze you and takes place in the huge stadium that can accommodate 1800 people. These mammals are so friendly and intelligent. They love nothing more than to show off their tricks and skills in front of the excited crowd. Take your seat in the arena and be spell bound and awe inspired by our cheeky marine mammals. There is also a Beluga whale and penguin show. The whales are not often seen so this is a great chance to get up close and take some great photos. Our penguin residents are always a crowd favourite and enjoy playing up to the audience and being rewarded with plenty of fish. At both shows you have the opportunity to get a close up photo with the animal stars for an extra fee. There is also a shark pool not to be missed that give you an opportunity to get up close to some of the ocean’s most beautiful but deadly creatures. If you’d like to take a relaxing hour or so away from all the action the park is full of shopping options for your pleasure. Shopping avenue has your retail therapy need catered for with a wide variety of shops stocking big name brands and local labels. Or simply relax and enjoy some great food and drinks at one of the many eateries scattered around the park. 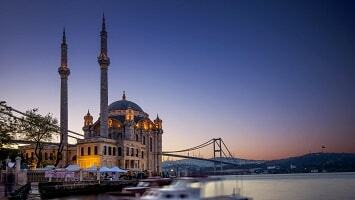 From famous fast food outlets, to pubs and a la carte restaurants, everyone is catered for here. Following this full on day of fun and adventure you will be glad that you don’t have to drive back. 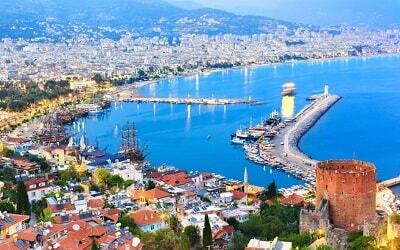 Instead let our driver take the wheel while you relax and watch the scenery go by on the one hour journey back to Alanya.